Cute tiny hats and cute tiny dogs go together like peanut butter and jelly. 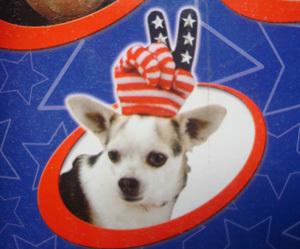 Seriously, there is nothing better than seeing a little dog wearing a hat _ especially when it‡s a peace sign hat. 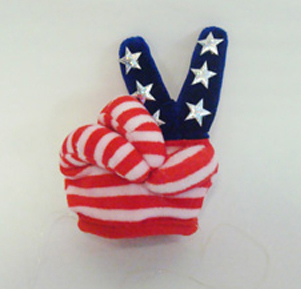 Let the little dog in your life express his inner desire for harmony with this cute little Mini Peace Sign Hat _ or save it for yourself and try to look just as cute. Do it in the name of global security!